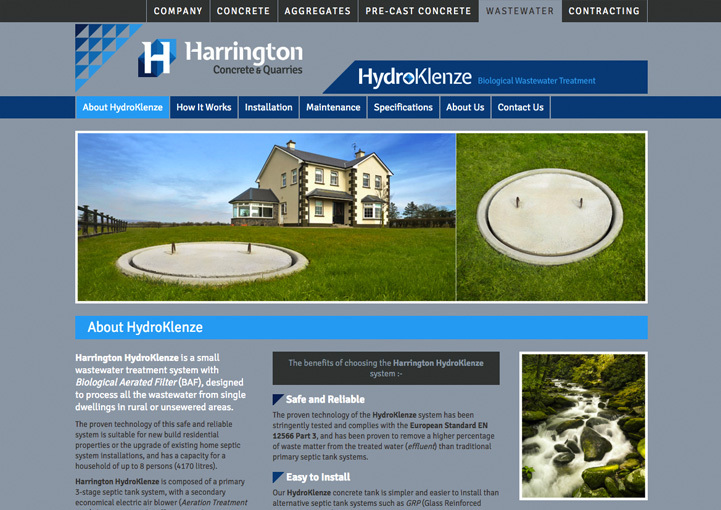 Harrington Concrete logo design in Kilkelly, County Mayo created by the Zetagram graphic design service. 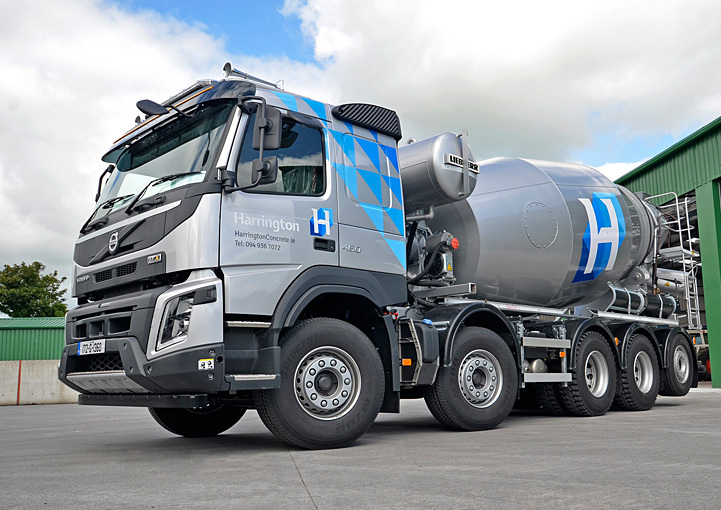 Harrington Concrete van design in Kilkelly, County Mayo created by the Zetagram van design service. 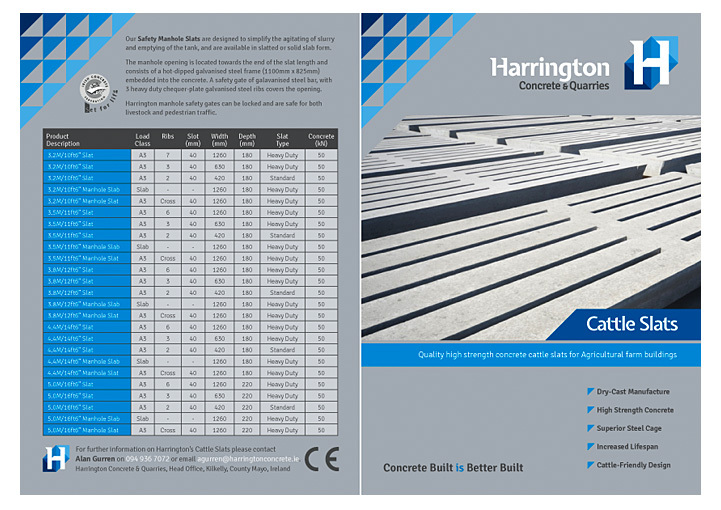 Harrington Concrete flier design in Kilkelly, County Mayo created by the Zetagram flier design service. 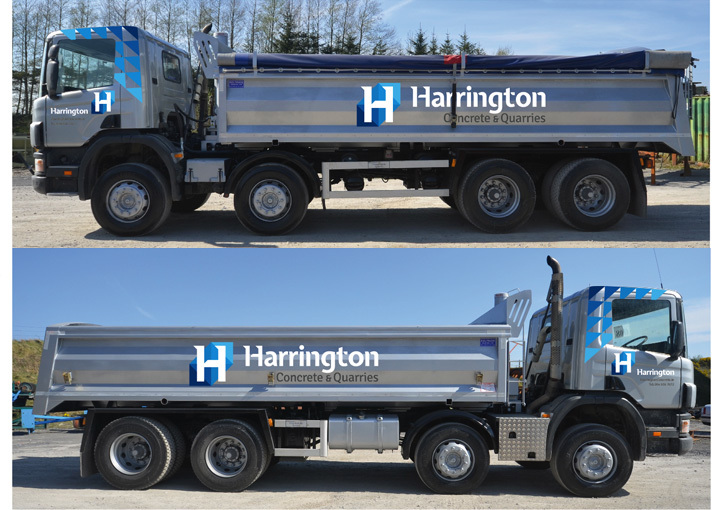 Harrington Concrete lorry design in Kilkelly, County Mayo created by the Zetagram lorry design service. 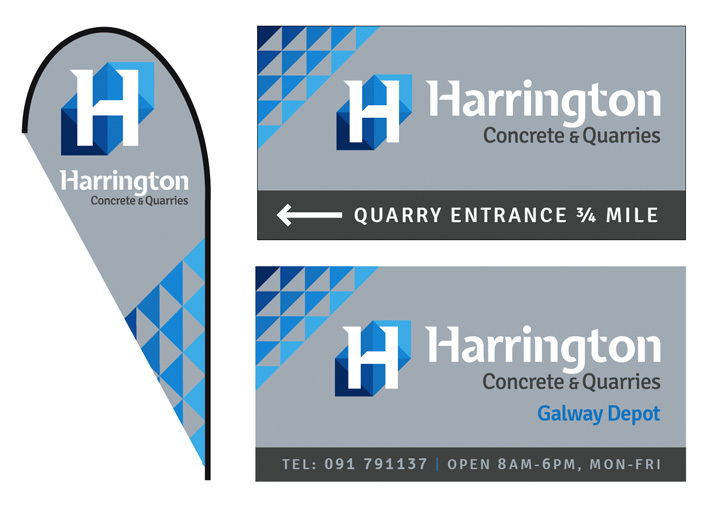 Harrington Concrete roll-up banner stand design in Kilkelly, County Mayo created by the Zetagram exhibition stand design service. 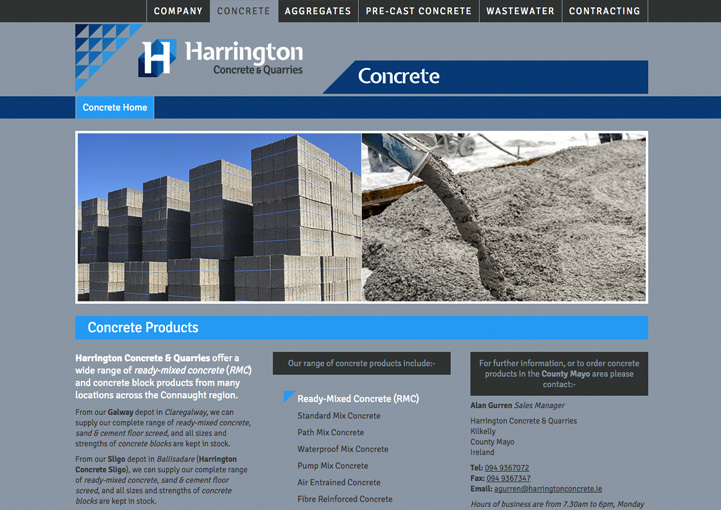 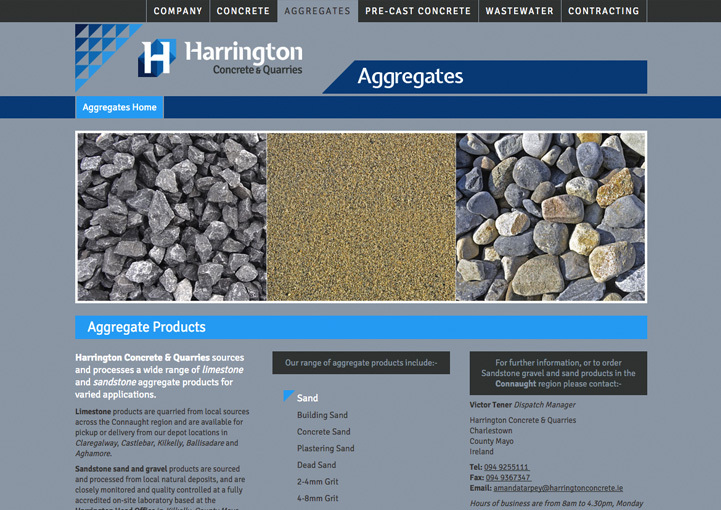 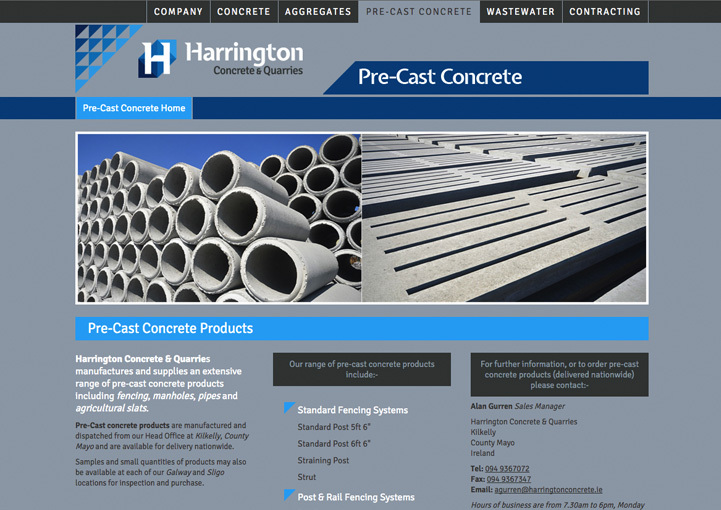 Harrington Concrete website design in Kilkelly, County Mayo created by the Zetagram web design service. 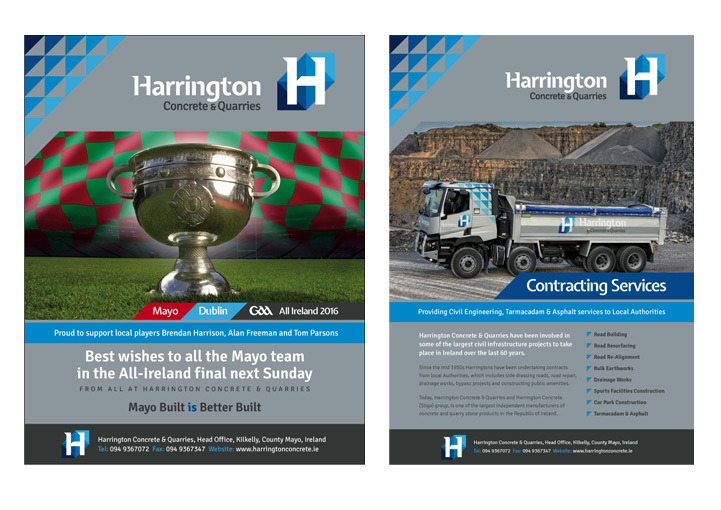 Harrington Concrete advert designs in Kilkelly, County Mayo created by the Zetagram advertising design service. 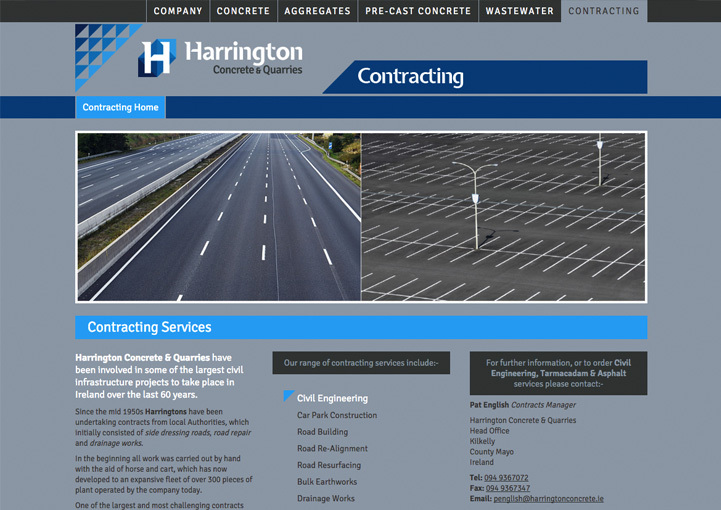 Harrington Concrete sign designs in Kilkelly, County Mayo created by the Zetagram sign design service. 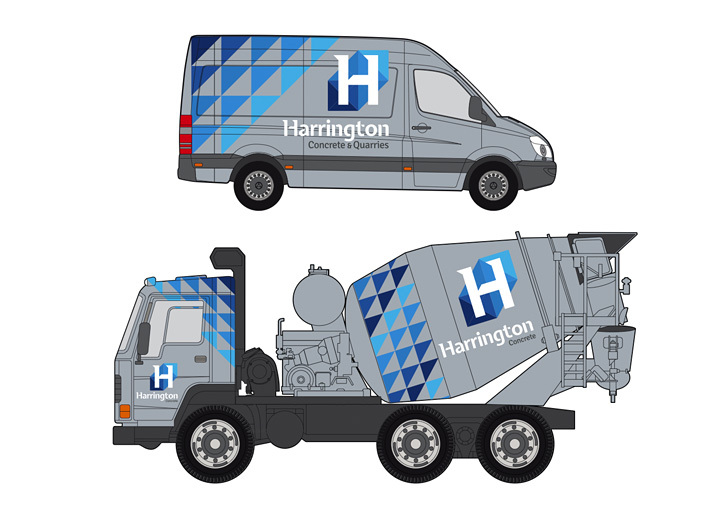 Harrington Concrete mixer truck design in Kilkelly, County Mayo created by the Zetagram vehicle design service. 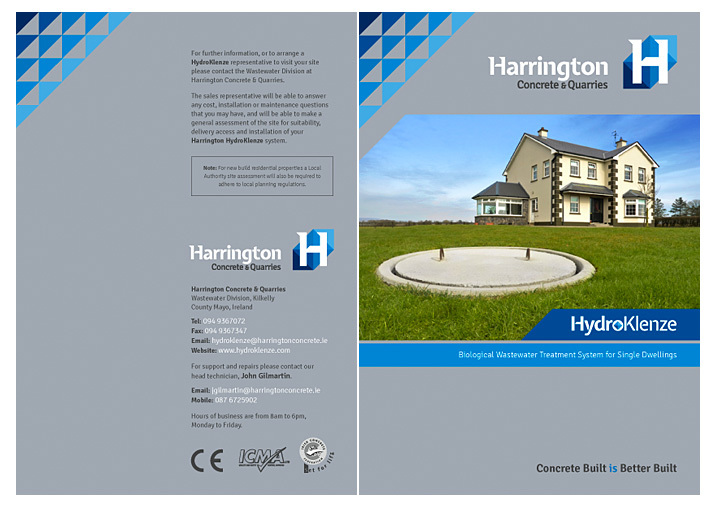 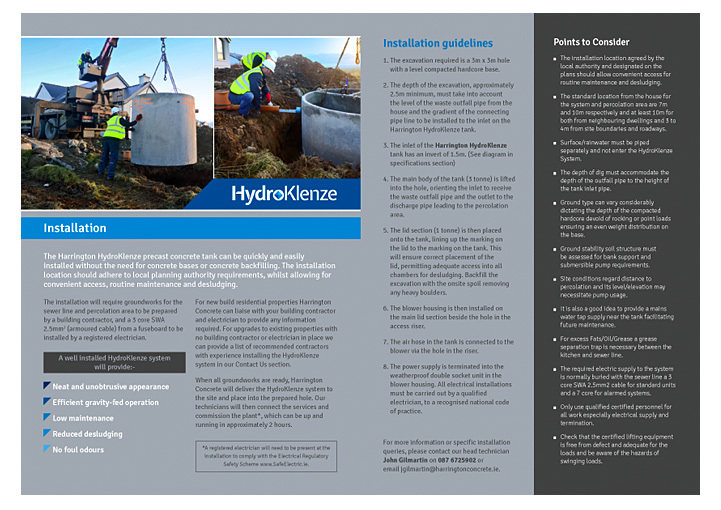 Harrington Concrete booklet design in Kilkelly, County Mayo created by the Zetagram brochure design service. 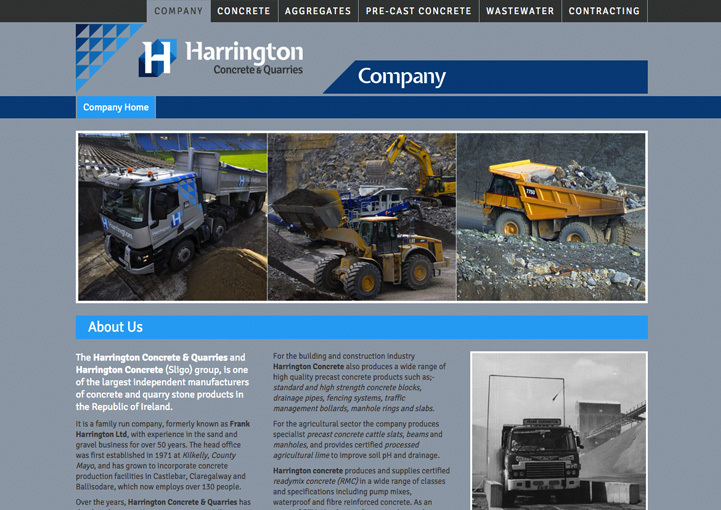 Harrington Concrete & Quarries, based in Kilkelly, County Mayo, was one of the largest independent manufacturers of concrete and quarry stone products in the Republic of Ireland. 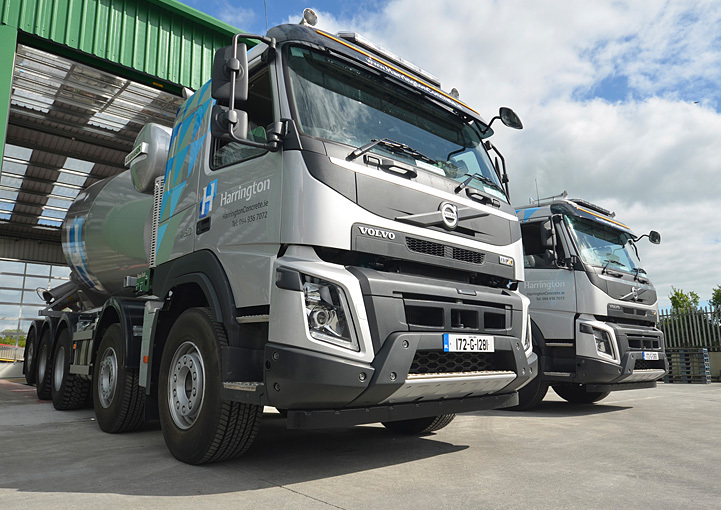 They provided a wide range of ready-mix, precast concrete and aggregate products from depots in Mayo, Sligo and County Galway. 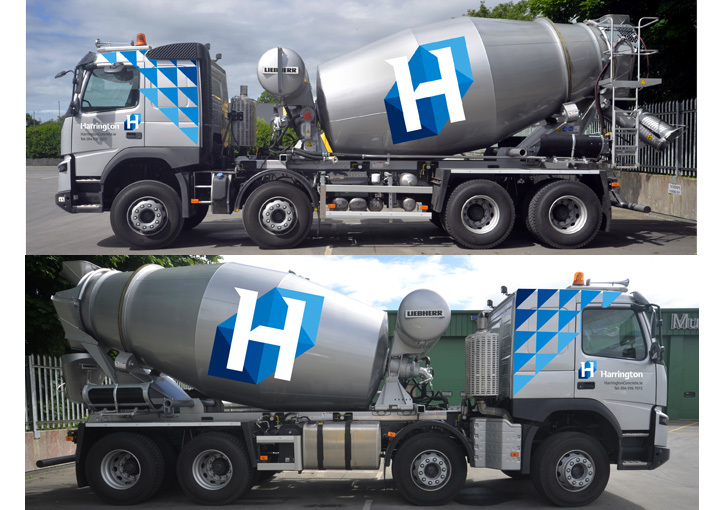 The initial brief to Zetagram* by the client was to create a completely new logo corporate identity based on a new fleet paint colour scheme changing from the original blue to silver. 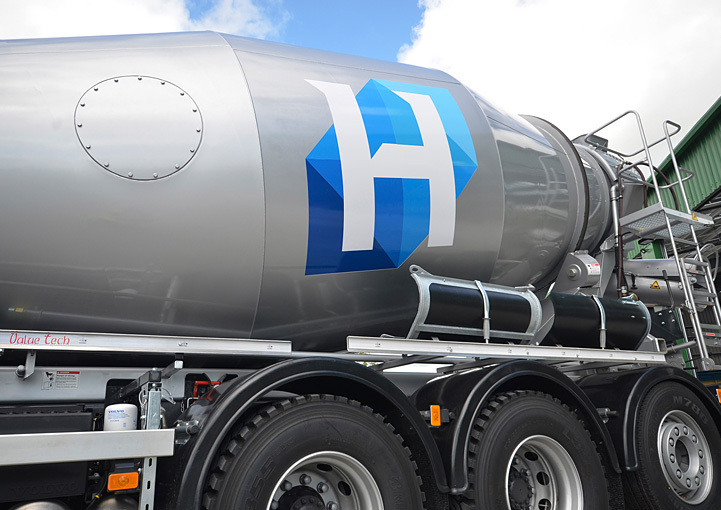 After competitor research and analysis, Zetagram developed a distinctive and memorable corporate identity design using a geometric symbol motif of the letter 'H' inspired by the high visibility chevrons required on heavy machinery in the quarries. 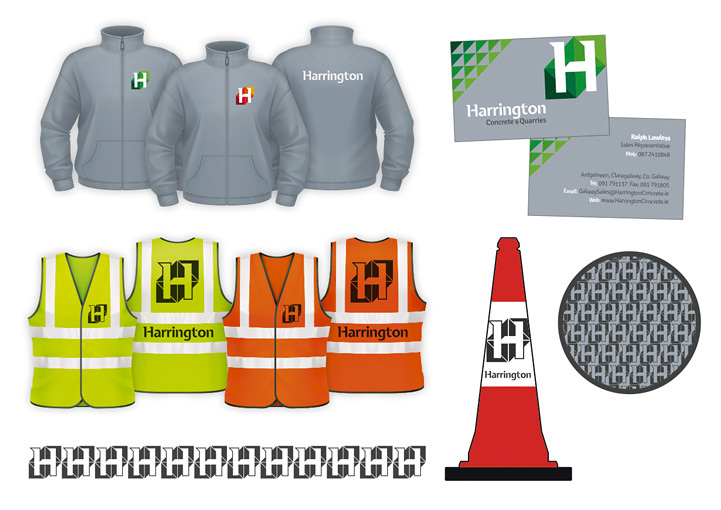 The motif was drawn up on a triangular grid, with additional colour triangles to extend the identity. 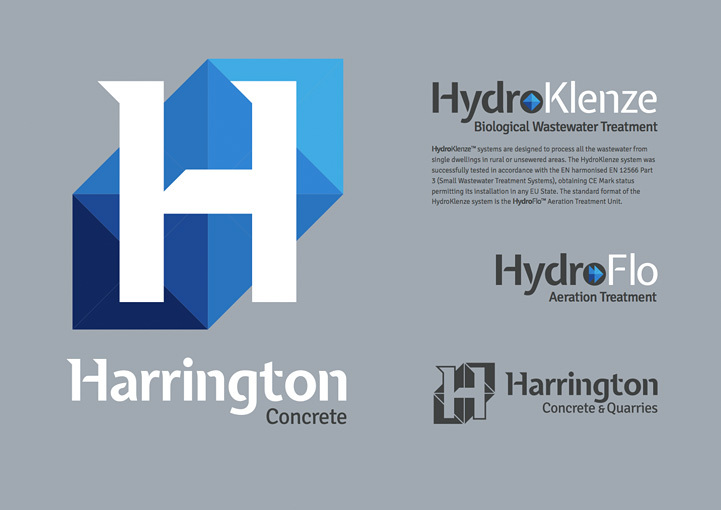 The logotype itself was formed using carefully selected fonts, which were then custom edited to provide a unique solution. 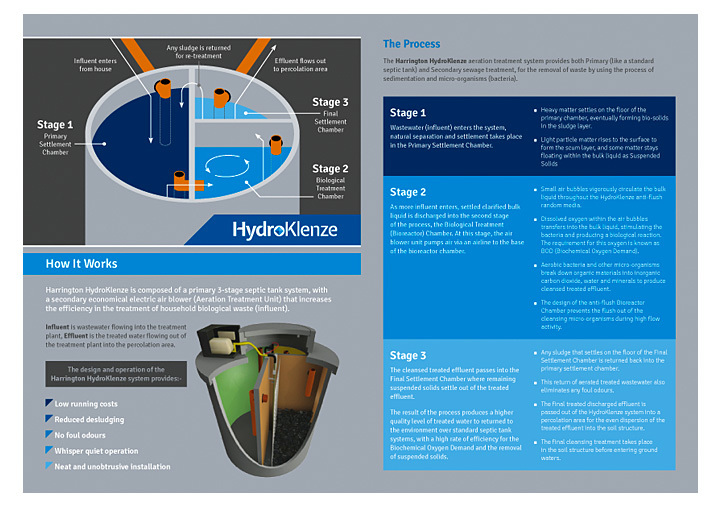 To complement the silver paint background, various colour schemes were explored as visual demonstrations before finally returning to the original blue colour palette. 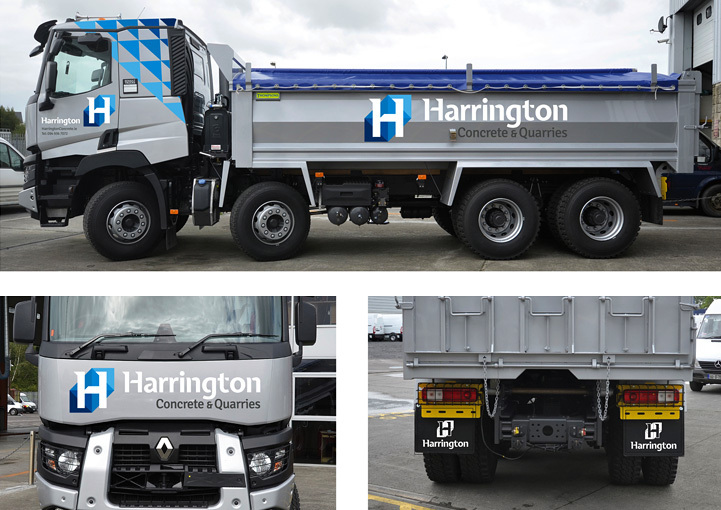 The vehicle graphics design style was created to be flexible and to adapt to all types of vehicle in the fleet, from small vans and cars, to larger panel vans, heavy plant machinery, rigid lorries, articulated lorries and mixer trucks. 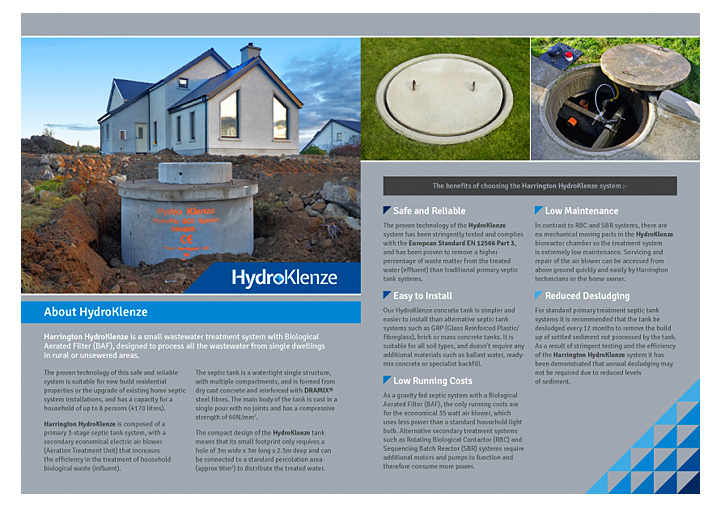 For printed promotion and press advertising, Zetagram provided a full range of services including location photography, copywriting, flyer, leaflet, brochure and advert design, and advised on printing and production. 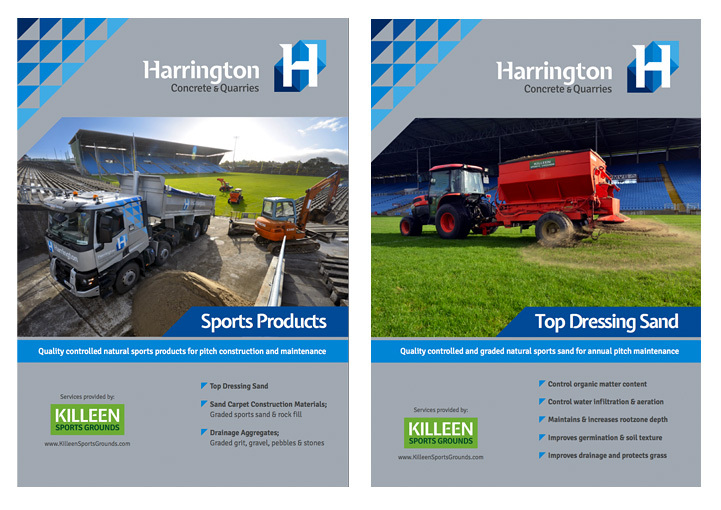 Promotional banner stands and advertising signage was designed for trade shows and prominent events like the National Ploughing Championships. 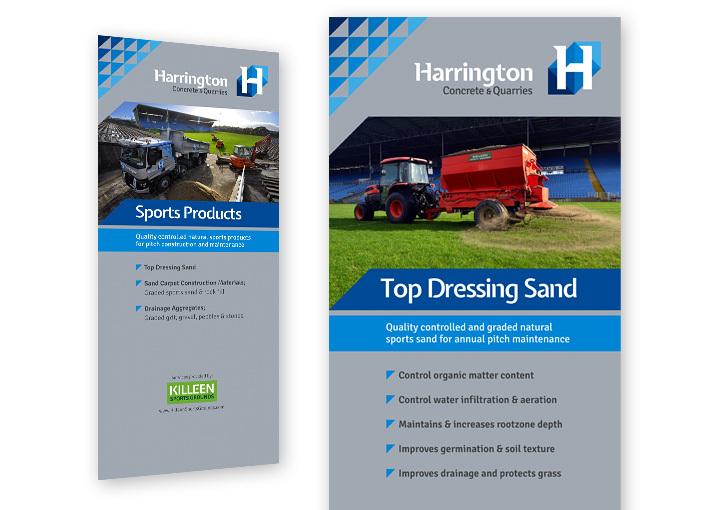 Regular fixed business signage was designed for site entrances, and sponsorship hoardings were designed for pitch-side advertising supporting local teams. 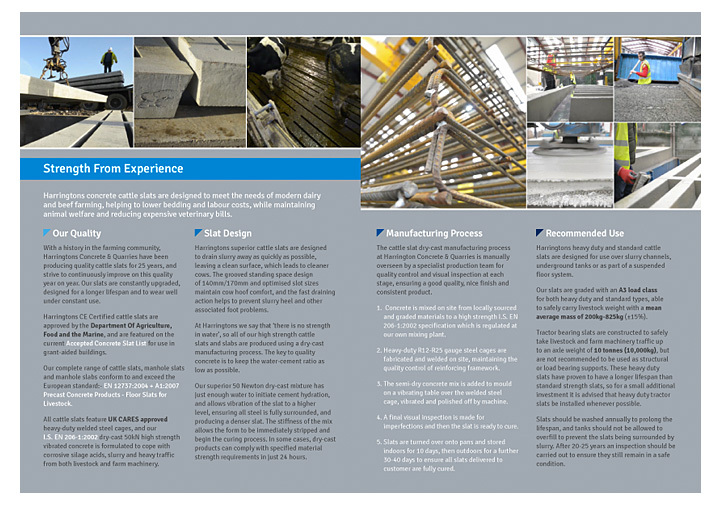 For an improved online presence, Zetagram continued the corporate identity with a custom designed HTML5 Responsive website, featuring location photography and copy (text) written by Zetagram.